If you’ve got tickets to your first game, or you’re considering it, we’ve put some information on what to expect below. We play at the George H Carnall Leisure Centre, Kingsway Park, Urmston, Manchester M41 7FJ. There is plenty of free parking at the venue. Enter the building and turn left and left again, where the Giants ticket desks are situated. If you have pre-booked, give your name and you will be issued entry. If you have a voucher, you will be able to hand this in at the desk to gain entry. There is a separate ticket desk for cash on the day, though be aware ticket prices are cheaper if bought in advance. Doors open an hour before tip-off (so doors open at 4pm on Sundays and 6.30pm on Fridays). Players will be on court from around that time for their warm-up, and there is the introduction to the court of the players 15 minutes prior to tip-off. A match consists of four quarters of 10 minutes, though the clock does stop when the ball is not in play. Typically a total match time would be no more than an hour and a half, including breaks. The seating at the venue is benches so there are no individual seats. If you are a particularly large group, you may want to arrive early or contact the club in advance to reserve a suitable space. All season ticket holders have a reserved space identified by a sticker, and these spaces should be left free. There is a refreshments van outside the venue which has drinks and food. There a drinks and confectionery vending machine. We run a club shop on match days that sells replica vests, Giants teamwear, t-shirts, hoodies and pocket money items. We also sell foam fingers and other exclusive ranges. Cash and card payments are accepted. At half time, we have a “Chuck a Duck” competition. 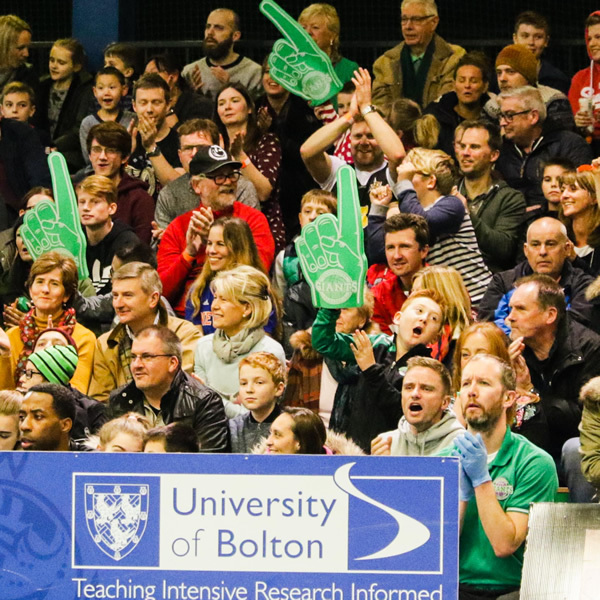 You can buy your plastic duck for £1 at any point before half time, and then everyone gathers round the court and whoever can throw their duck closest to the centre spot wins a prize. After the match, we create an area for the players to sign autographs and pose for photos with all fans. This is a fantastic opportunity to meet professional sportsmen, and something that isn’t prominent outside of basketball. You can purchase a programme for £2 which has space for autographs, or bring your own book! 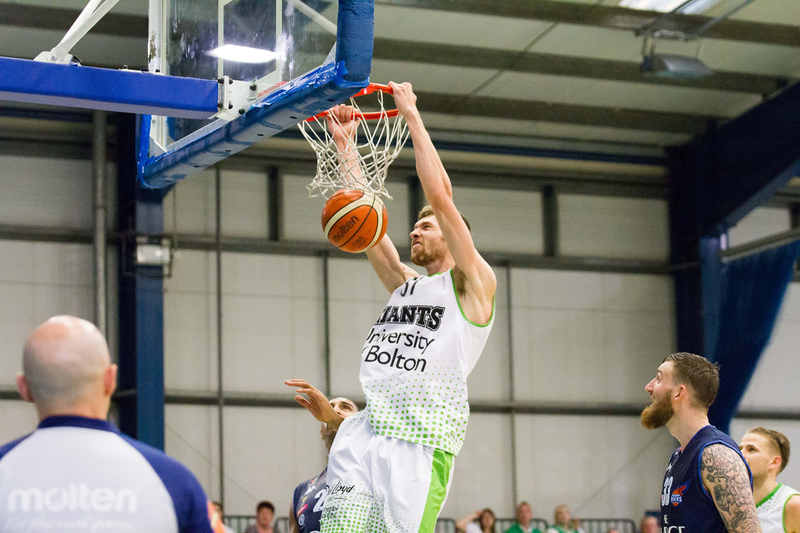 If you’re new to basketball, our matchday magazine has a handy page inside that includes a guide to the rules and referee signals. This is available for £2 from the programme seller at the ticket desk or shop. Got a question that’s not answered? 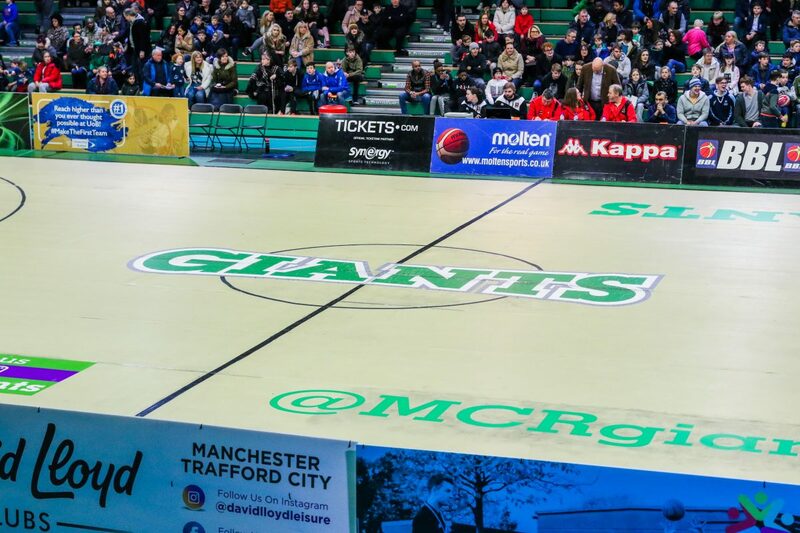 Please reach out to us at info@manchestergiants.com or via @McrGiants on social media and we’ll add any further information to this page.